How does Goodness Pay for you? The Good Leadership Enterprises motto is "Goodness Pays." 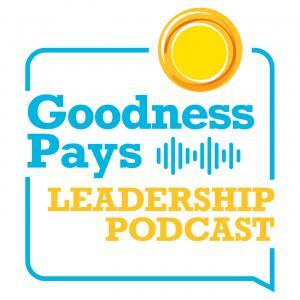 The Goodness Pays Leadership Podcast discusses what goodness means to individual leaders like you, where you see or feel goodness, and what you can do to bring goodness alive so it really pays for you and the people around you. Meet Paul Batz and Kelsey Meyer-Shalkle, coaches at Good Leadership Enterprises and the cohosts of the Goodness Pays Leadership Podcast, and get a dose of inspiration.